High Calorie Food Bar can be mixed with water to make a pablum type meal for your baby! 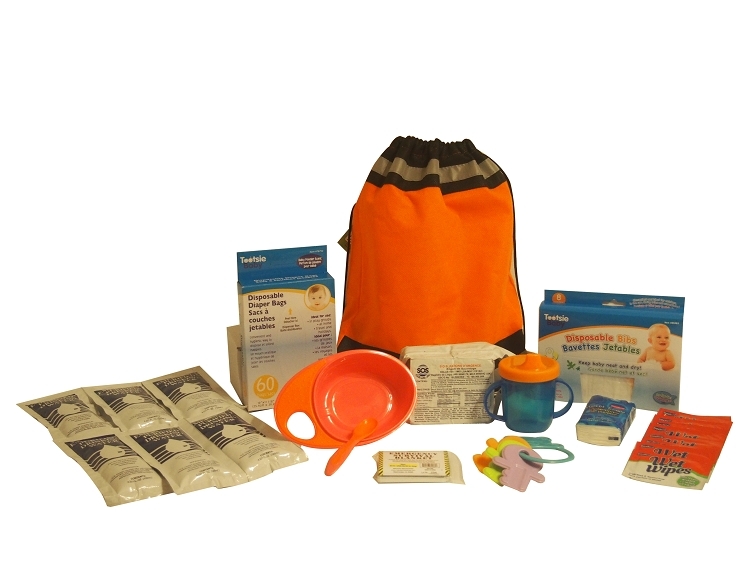 Ensure you have the items your baby needs during an emergency. The 2400 calorie food bar can be broken into pieces. When mixed with water, it makes a delicious tasting pablum. The bowl, spoon, cup and rattle (all BPA free) help ensure that you have the items needed to help you to continue to provide care and comfort for your baby during those first 72 hours after an emergency. Just add the correct size of diapers for your baby.